Applications have been invited for the 34 village accountants posts lying vacant in the district. Eligible candidates could apply online for the posts from October 1-31. 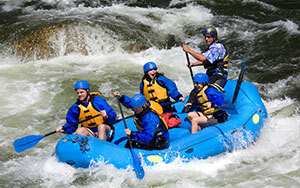 Adventure sports are unique in their adrenaline-inducing capabilities, owing to the thrill and ‘risque' factor involved. However, a sports lover must venture into such extreme activities after being educated into the art of taking a ‘calculated risk, say experts. In the field of AI, it is important to focus more on improving the skills of the workforce, than be worried about the growing technology.